What's turning into an uncommonly lucrative month of October at the box office tries for a third straight weekend with a $30 million film — and for that matter, doubles down on its chances for one. When you look at film franchises that stake out a territory and defend it, year after year, it's difficult to come up with a better example than Saw. For the sixth straight year, a film from this grisly horror franchise is opening on or close to Halloween weekend. And with the exception of the first one, an unknown quantity at the time, all of them have opened to between $30 and 34 million (which actually represents a bit of a decline due to inflation, but at the same time opening weekends haven't increased to match inflation. This marks the end of the wonkishness of this column, don't worry). There's apparently an overarching plot connecting all these films together somehow (I stopped watching them at number II, personally), but I'd be shocked if fans of the series really cared. What these films are about are ever increasingly shocking traps that cause death, dismemberment and pain, like a particularly sadistic version of the "Would You Rather?" game. Will audiences ever grow tired of it? They have to eventually, right? But with these being so cheap to make, even with last year's edition failing to double its opening weekend in final gross, they're still insanely profitable. 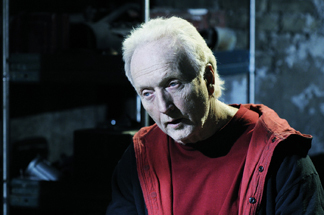 Opening at a little over 3,000 venues, Saw VI should find itself in the standard range of about $31 million.